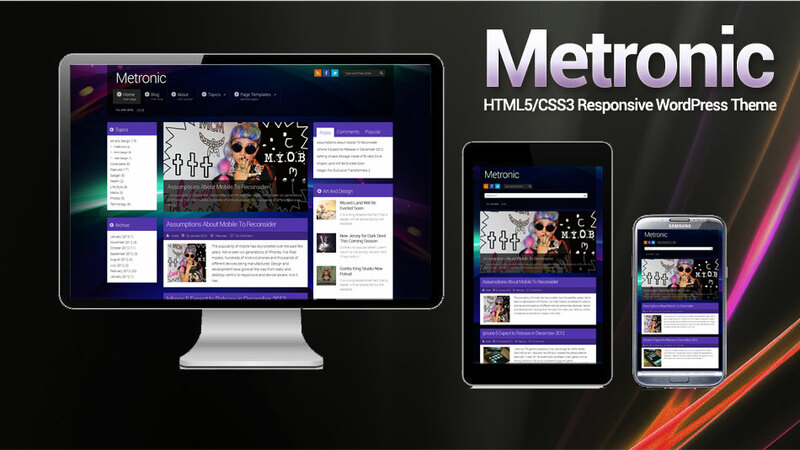 With a responsive design its compatible with devices like Desktop, Tablet, small phone, i-Pad, iPhone, and Android Phones too. Try resizing your browsers to see different layout option. Need to Test Theme Option? No worries, just use the demo built-in theme options panel in left side of the demo screen. 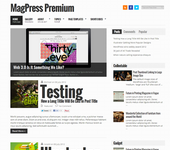 You can change the color for Navigation, Sidebar, Footer or Main Links if the theme support it. 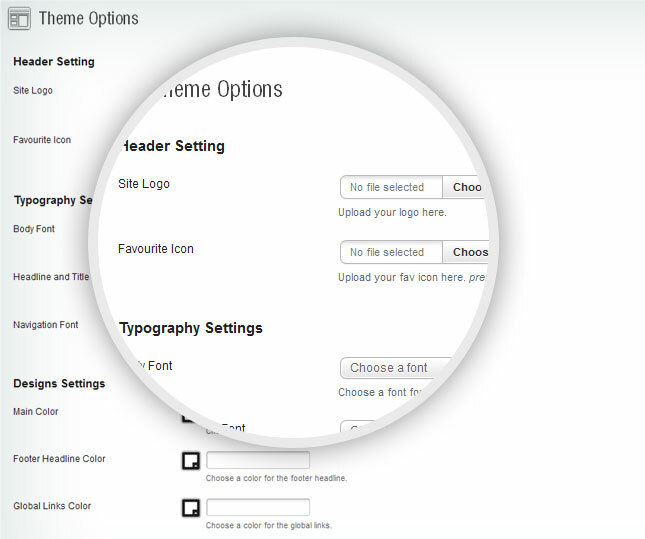 Not only that, you can also change the fonts for body text, headline and navigation text. The main content block is placed before the sidebar so it is crawled first by search engines, so its SEO Optimized. The Theme has a tons of features like 500+ Google fonts, Tabbed widget, Most Commented/Popular Widget, Recent Comments with Gravatar, Flickr widget and Twitter widget. It also had built-in social sharing button such as Facebook Like, Twitter, Google+ and more than 100+ more social sharing links so people can share your article/posts to their friends and family in the social network web. The theme also had built-in Sidebar Featured Category so you can setup your more important category posts in sidebar. We want our users to use the theme without fuss so we made the theme options to be one page user friendly, no need to navigate to other page just to adjust header settings etc. – WordPress Built-in Header Images and Background Images. how to remove theme credits from the sidebar? you can purchase the developer version on the theme single page. Hello, Thanks for the great theme, i have a query for you, is it possible to post full posts, galleries on the main page instead of excerpt post? I am loving the colors and the look of this theme. I am gonna buy this theme soon. when I click on Demo/Preview I get redirected to a login page. However the demo is available for downloaded through a direct link, which does not redirect to a login page. we’re debugging some server load early on, the demo page should be live already. thanks ronald, will checkout the available themes and choose later. wonderful theme and very well coded. i love how the template look in my ipad.